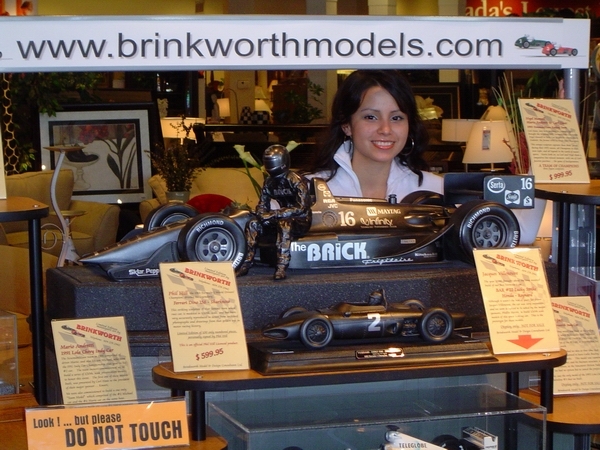 The Brick were kind enough to let us put a display stand in their store, for the duration of their "Tent Sale"
The display was inside the entrance of the main store in Richmond BC Maria Lopez, a model in her own right, pictured here behind our 1:5th scale Lola sculpture, not only makes it a beautiful picture, but also gives you a concept of the physical size of our Indy car model. 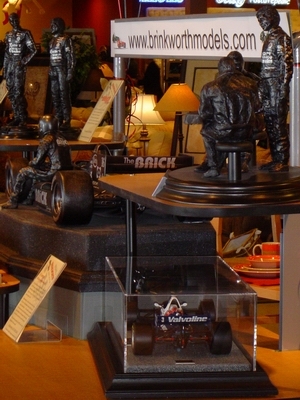 Our driver sculptures, as well as our car models were also on our display. 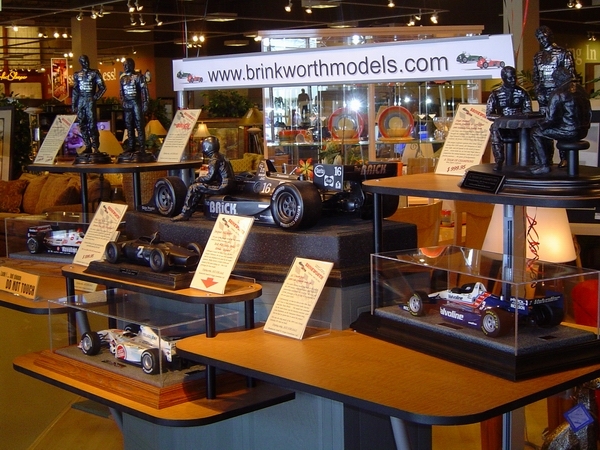 Our (then new) Ferrari 156 sculpture is featured above, along with the "extra" Jacques Villeneuve ,British American Racing Lucky Strike model, I built for my own collection. 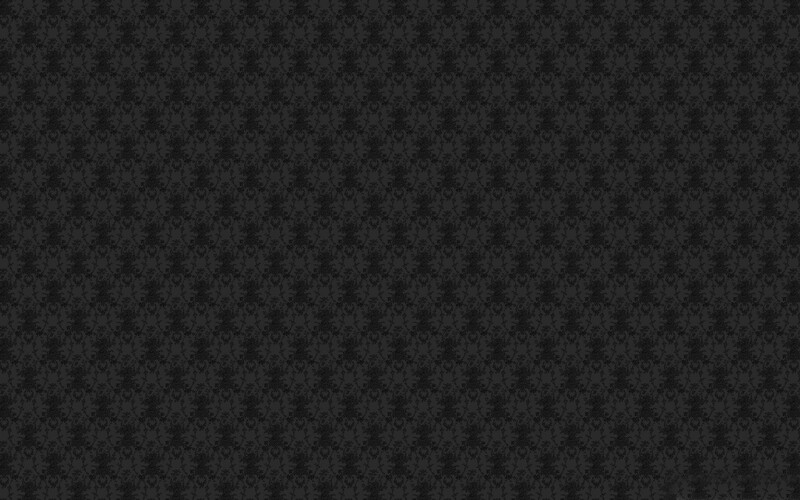 Unfortunately, another collector had other ideas. 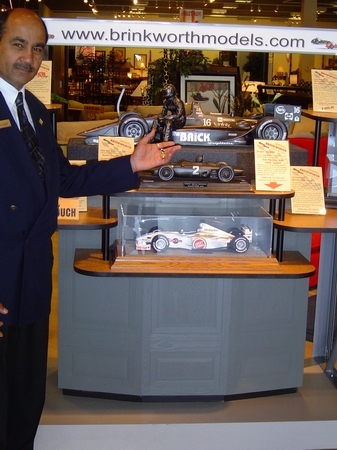 The Brick salesman being most helpful during our installation of the display. 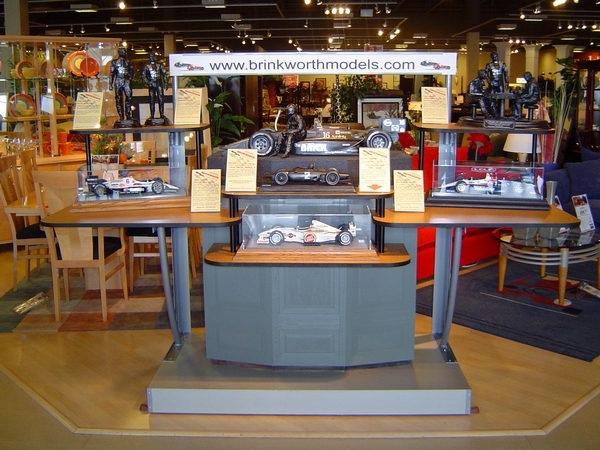 It was unbelievable how many contacts we got from that display in such a short time. 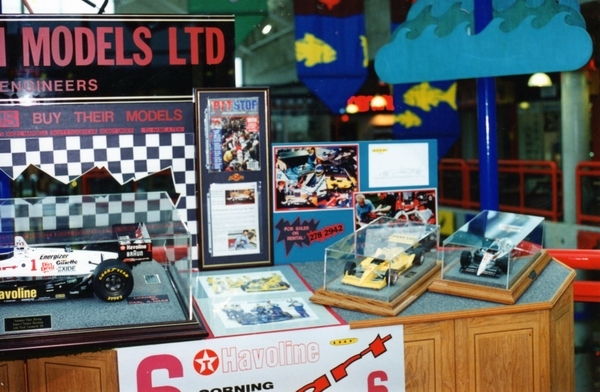 It was a huge success for us. Hope the The Brick felt the same. 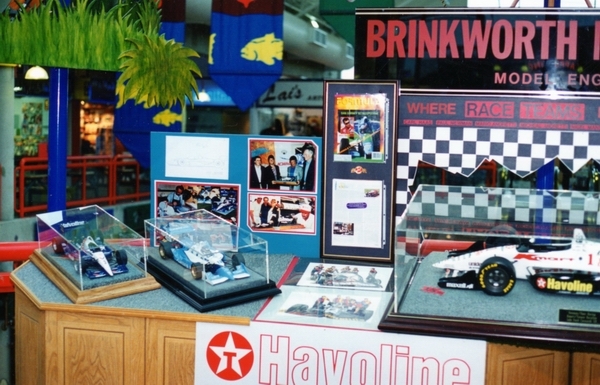 Display was shown at the Public Market, to celebrate the opening of the New venture, on Westminster Hwy. 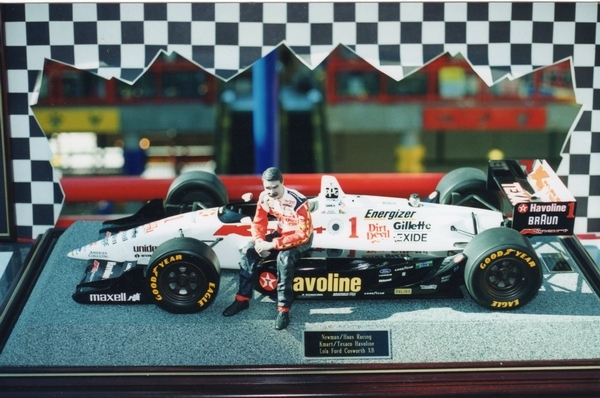 in Richmond BC Our Nigel Mansell 1:5th scale Lola, just prior to shipping off to Carl Haas, with the (then New) detailed sculpture figure, which also went to Mr. Haas. 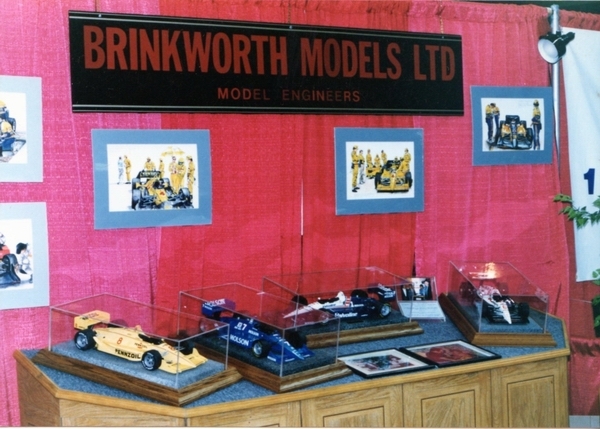 The above was a small display booth, we had at the Vancouver Molson Indy in the early 90's. 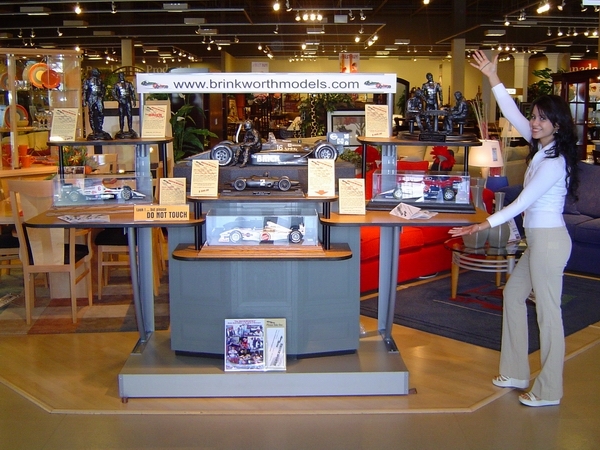 A place to meet clients , and show our product. Most of our business was conducted in the race team's hospitality area, but it was useful to have this base area for us to meet back at. 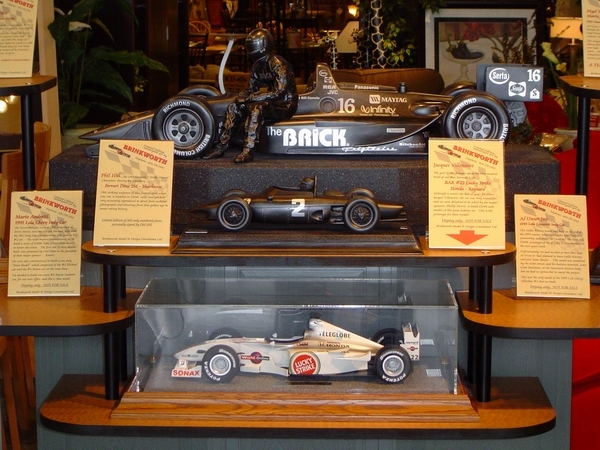 These models were some we had on display at the Vancouver Molson Indy, in the entrance hall of the Hotel. 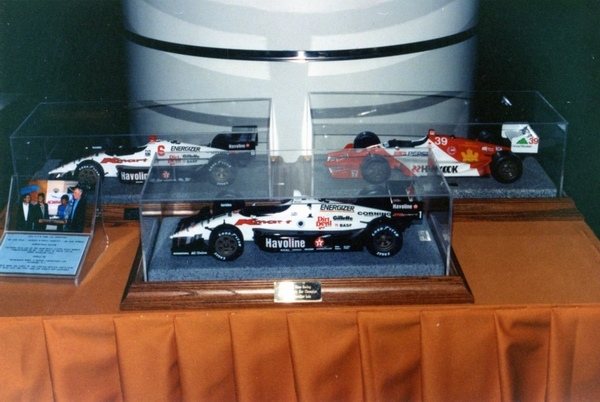 On this same occasion, we were given the opportunity to show our product, by displaying several 1:10 scale models, as table centerpieces, at the Vancouver Molson Indy Banquet, held on that race weekend, for drivers and team owners etc. 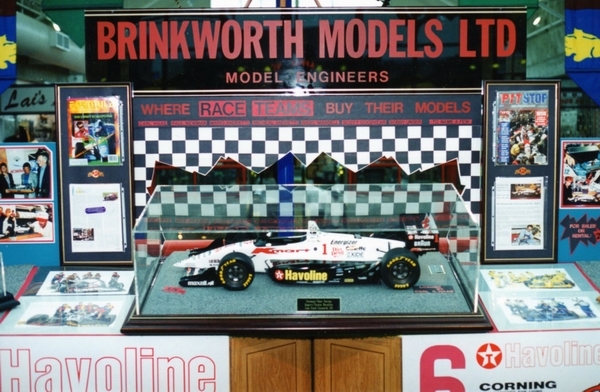 Great PR for us at the time !